A few years ago, I decided to try my hand at writing fiction. After six months of stops and starts, a friend graciously recommended a wonderful book to me entitled “Reading Like A Writer” by Francine Prose. The book was a written version of the author’s university course on reading literature for the purpose of improving one’s ability to write. Prose’s dissections and analysis of Anton Chekhov, Philip Roth and Gertrude Stein (among others) had an immediate impact on my decidedly amateurish attempts, sparing me more broken appliances and a sense of overall despair. “Reading Like A Writer” not only detailed the techniques of great writers but also dissembled the methods by which they constructed their work. It was highly illuminating and extremely helpful. As songwriters, we can all benefit from a similar examination and discussion of songs. Even the stinkers are worth looking at; it is important to understand why certain methods don’t work while others do. In this column, I will humbly attempt to facilitate a discussion about a different song every week. By attempting to explain why a good song works, I expect to learn a few things. I can only hope my ruminations are of assistance to you, as well. After I have said my piece, it will be your turn: If you have any thoughts about the week’s selection, please take a moment to leave a comment at the bottom of the page. Your fellow songwriters and I all stand to benefit from what you might have to say. You will probably not always share my opinion of a particular song’s quality; regardless, I would challenge you to contribute something constructive to the conversation. And, if you consider your opinion to be valid, make sure you support it with a reasonably thorough explanation. Let’s leave the one-sentence-sniping to Perez Hilton, please. The verse vocal melody is deceptively simple, syncopating with the rhythm section for two lines before unspooling in legato for the third. Underneath it, Bettis and Porcaro cycle between the IV, V and an inversion of the I chords (Jackson recorded the song in the key of D major; the IV and V chords in this key are G major and A major, respectively) over a slinky half-time percussion groove. This is a neat trick that keeps the song suspended in air, protecting its sense of mystery and expectation. At the end of each stanza, the chords walk down to the II minor (E minor) as the vocal melody ascends to its highest note, a counterpoint that serves as a musical comma, keeping us interested in what might happen next. … and here, under the title of the song, the root chord (the I chord, D major) is finally revealed (although only for a single beat! ), a musical period that releases the tension just in time to illustrate the main point of the song. In a production as subtle and understated as “Human Nature,” this particular combination of lyric and chord speaks as loudly as Lemmy singing “The Ace of Spades” over a supersonic bass riff. It is worth noting that, although the vocal melody and chords are the same as the opening verses, the lyrical imagery expands upon the unresolved nature of events and therefore manages move the action forward. The protagonist doesn’t meet his fiancée for a movie, but seeks out a stranger; the pair are not hanging with a group of friends but are instead surrounded by ‘electric eyes.’ It may not be Yeats, but it keeps us guessing up to the second chorus. “Human Nature” also benefits from a signature keyboard motif which begins the song, reemerges after the second chorus and, finally, becomes the coda that closes it. Besides being pleasant to listen to, the coda also provides a gateway into what might happen beyond the scenes described in the lyrics. This musical foreshadowing is accomplished by a brief modulation that introduces a passage of chords in a new key, suggesting a whole new set of emotional possibilities at the song’s penultimate moment. It is the perfect ending to a tune about pure speculation. 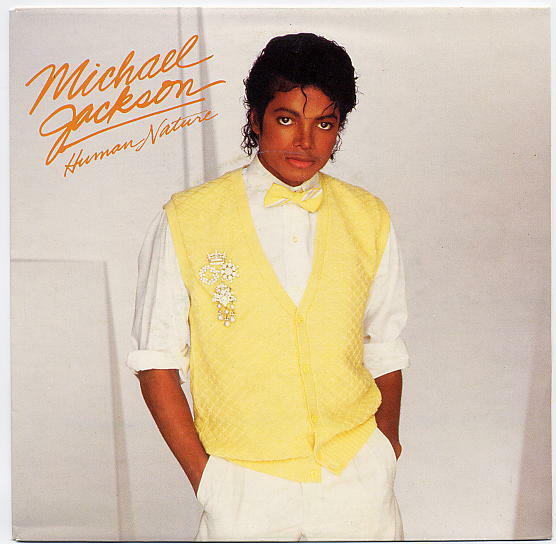 “Human Nature” will, most likely, never be recognized as Michael Jackson’s finest moment, although it might be one of his best. In my experience of recording and subsequently performing the song hundreds of times in concert, I have been amazed at how many people can sing along with most of its lyrics but are hard pressed to remember exactly whom originally recorded it. This is quite an accomplishment for a song made famous by one of the preeminent pop stars of the 20th century. Proof positive, I might add, that a well-written song can occasionally outlast and overshadow even its most gifted interpreters. Happy writing. See you soon. Like what you read? Check out the amazing music of David Mead here.